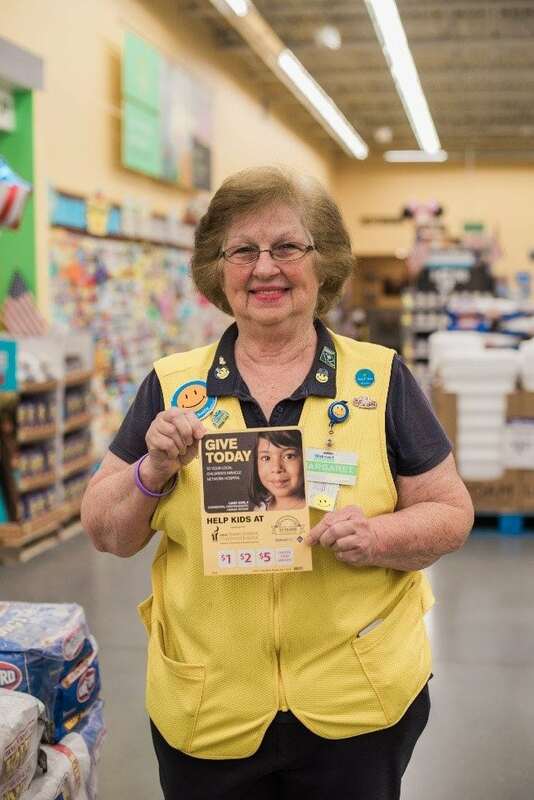 According to her calculations, Margaret Lake is the oldest associate at her Walmart Neighborhood Market in Goose Creek, South Carolina, but that hasn’t impacted her exuberance and passion for her job. In fact, it’s quite the opposite. Margaret describes the change that occurs from when she gets up in the morning feeling achy and tired to when he puts on her Walmart uniform. Her energy translates into her fundraising efforts for Children’s Miracle Network Hospitals and, in particular, MUSC Children’s Hospital. As a self-checkout cashier Margaret encourages all self-checkout customers to donate when they finish purchasing groceries. This year a prompt on the self-checkout screens at Walmart and Sam’s Club stores will serve as additional encouragement for customers and members to donate. Margaret is also the voice of all the store announcements over the store’s PA system, and during the campaign she works in a few announcements asking customers to give to MUSC Children’s Hospital when they check out. She is also involved in a unique fundraiser her store participates in. Cashiers encourage customers to purchase crayons and toy cars which are then donated to MUSC. Margaret was the store’s top seller of these items last year. If you’re ever in Goose Creek, SC, stop in and say hi to Margaret. Or just donate to your local CMN Hospital at your local Walmart or Sam’s Club today! Previous post: Miracle Makers: "If It Wasn't for Them, I Wouldn't Have My Kids"